RA available for exceptional students with strong background in physics, mathematics, or pragramming. Zongfu has a B.S. degree in physics from the University of Science and Technology of China(2004), a M.S. degree in management science and engineering (2008) and a Ph.D. degree in applied physics (2009), both from Stanford University. He has been an assistant professor since September 2013. Our sponsors in NSF, DOE, DARPA, ONR, and WARF make our research possible. Our research revolves around extracting two things from light: information and energy. 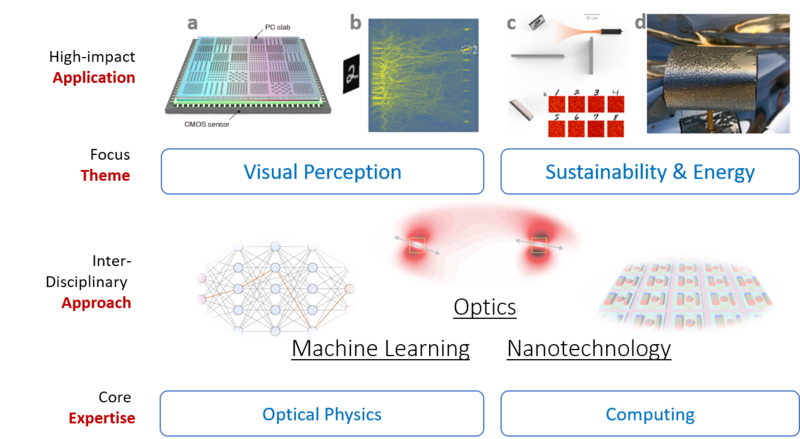 The approaches start from fundamental optical sciences, and leverage machine learning and nanotechnologies. The focus themes are 1) visual perception and 2) sustainability and energy. Fundamental optical science and computational methods are the foundation of our research. We are particularly interested in breakthroughs that have potential for emerging applications. 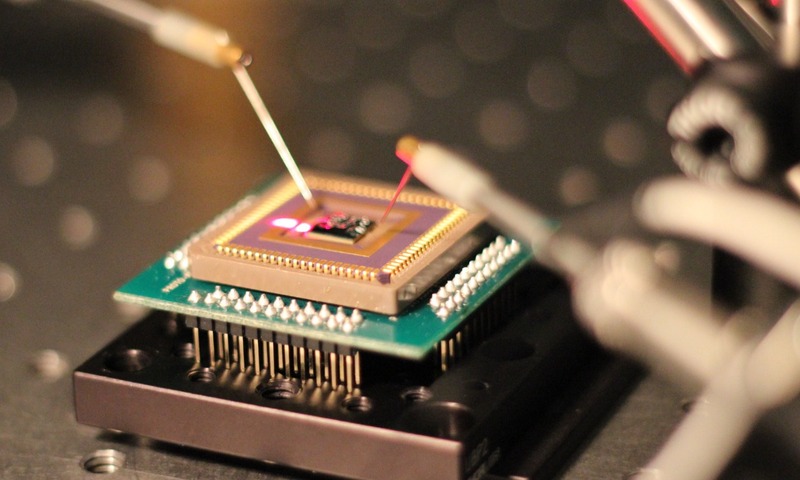 For example, inspired by the intriguing concept of index-near-zero materials, we enhance the optical cross section over 1000 times, which could make super-sensitive photo-sensing pixels. Another example is emerging topological photonics, which changes the laws of electromagnetic scattering that govern applications from cell phones to molecular imaging. Concepts such as nonreciprocal optics also have revolutionary potential in communication and energy conversion. 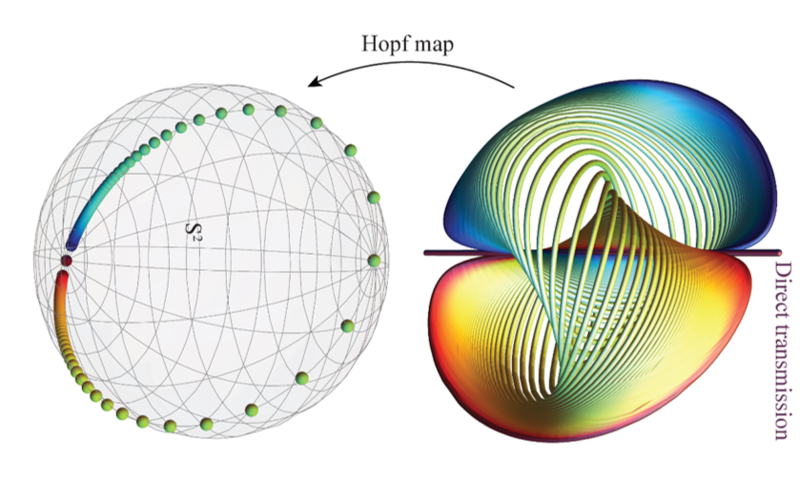 We recently showed quantum-classic hybrid electrodynamics could show promising potential to overcoming the most challenging problems in this field. Visual sensory functions are indispensable in autonomous systems, such as self-driving cars. Conventional visual systems are mostly based on imaging sensors consisting of arrays of light-sensitive pixels, each of which measures the intensity of the light falling on it. The issue with such pixels is that they are incapable of acquiring other important aspects of multimodal information of light, such as its incident angle, wavelength, and phase. While the intensity information is enough for conventional applications such as photography, its limitations become apparent in advanced visual tasks. For example, it is impaired by fog and rain, and can only see in straight lines (not around corners). As a result, expensive optical instruments, such as the LIDAR systems used for ranging in autonomous cars, are often used to assist vision. Our goal is to identify the pathway that could overcome these fundamental issues in traditional visual hardware. Darkling beetles living in the Namib desert have developed an ingenious surviving technique: they generate dew water from breezes blown in from the Atlantic. The beetlesâ€™ black surface sheds thermal energy efficiently and functions as a cooling source for water condensation. We are developing passive radiative condensers that require zero energy input and generate clean water from thin air. Here we exploit the universe as a free coldness reservoir for water condensation. The beetles use this cooling source to condense water from air, but only at nighttime. 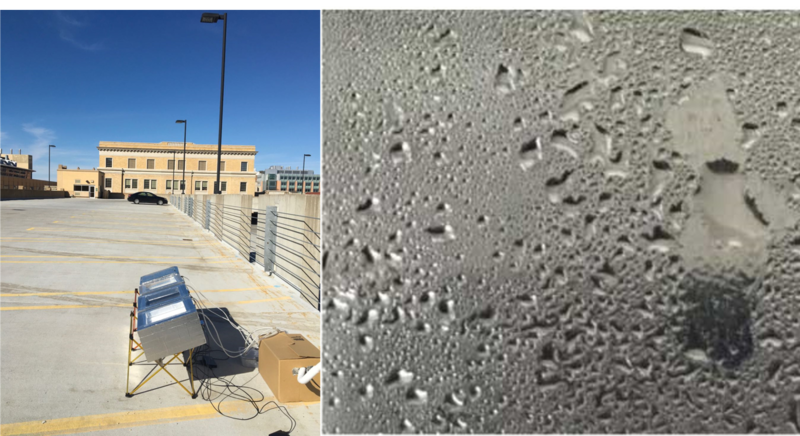 Our daytime radiative condenser works even under sunlight (Fig. d above), because we engineer the optical structures to repel sunlight. This condenser can be used alone or together with solar stills. The goal is to realize on-demand clean water anywhere, anytime. We are developing computational tools to model classical-quantum hybrid devices. It combines classical and quantum electrodynamics simulators. 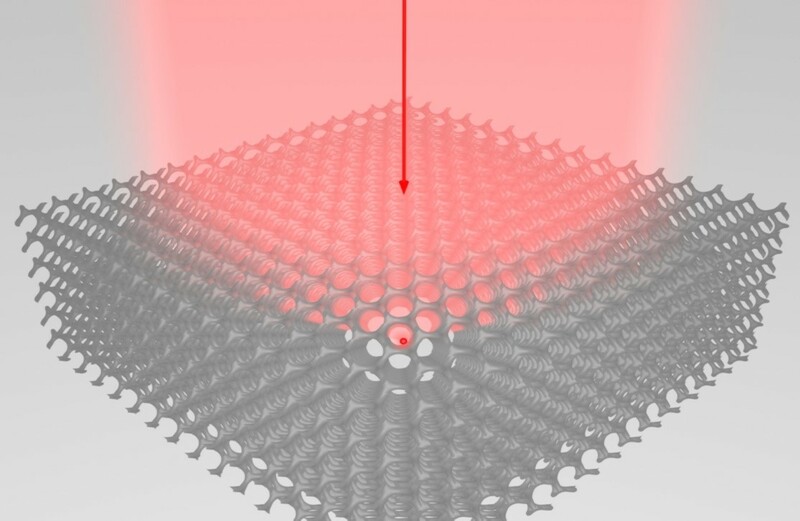 We use the tool to investigate quantum antennas, quantum photonic crystals, quantum metasurfaces, all made from two-level systems such as quantum dots and atoms.